While looking at 5G differently, CISCO sees it as a better way to provide connected experiences and services from the multi-cloud-to-client approach. 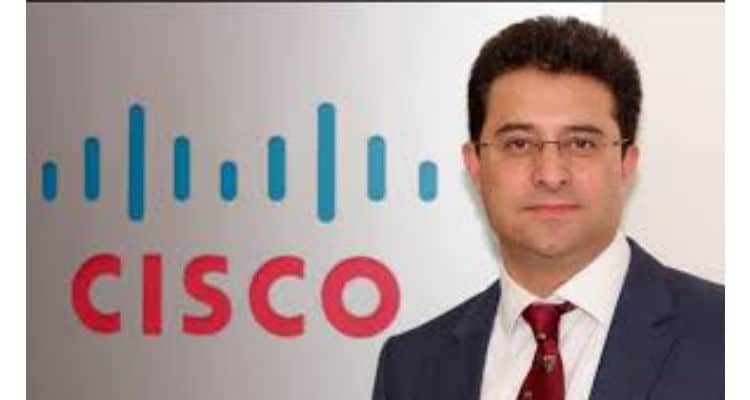 Thus, in a conversation with Voice&Data, Sanjay Kaul – President, Asia Pacific and Japan, Service Provider Business, Cisco, talks about the 5G roadmap of India, change in the telecom sector & rural connectivity in India. How do you think the 5G solutions will hold up with the 5G Roadmap of India? One of the most significant barriers that service providers will face in establishing and expanding the 5G network is the massive investments required to buy the needed frequencies, currently priced at 10X of Korea which is the first go live in March 2019. This can act as a roadblock for the launch of 5G in India. However, with 5G solutions with technology architectures like Flat and intelligent IP network with segment routing, SDN/Automation and orchestration, distributed data centers & multi-cloud and lastly platform with Open API to create compelling and monetizable services that use attributes of 5G which are low latency, network slicing, network density, Industrial IOT, etc. Do you think India’s framework is ready for these 5G enabling solutions that you speak of? Yes, technology for sure is ready. The government needs to create a compelling framework for Service providers to take the plunge to invest in the 5G rollout. Having said that,India is rapidly moving ahead towards developing one of the largest 5G ecosystems in the world with initiatives like the National Digital Communications Policy 2018 and establishment of a High-Level Forum (HLF) on 5G. Further, the explosive manner in which initiatives like Digital India, Smart Cities, and financial inclusion through JAM (Jan Dhan Yojna, Aadhar, and Mobile) were rolled out will contribute immensely towards the need of 5G-enabled solutions. What is the telecom landscape in the country today and what are your expectations from it? The Indian telecom industry is undergoing a wide-scale transformation in the form of disruptions- intense tariff wars and consolidation. Over the next 5 years, the market will be driven by the customer and quality of service experience. I believe, consolidation has led to three private plus one public service providers who can execute and deliver on customer’s expectations. At the same time, it is also imperative for them to modernize network and embrace the latest technologies for efficient service delivery. Build capacities to meet the bandwidth demand that the market is demanding. We expect the momentum to continue with the deployment of 5G services and telcos increasing their presence in the Internet-of-things ecosystem. Further, the alignment of telcos with the Smart Cities and Digital initiative will provide a further impetus to their growth and the long-term story for the industry look positive. Can we expect stable connectivity in rural India and what will be your role in providing a better rural connect? Industry reports attribute connectivity gap between rural and urban India to the lack of telecom infrastructure in the rural areas and low average Revenue per user. Public-private partnerships need to act to get fiberization vision come true. The national fiber network is mandatory to leverage technologies like 5G to help bridge the digital divide that still exists between rural and urban India. In addition to this, service providers had to put in a significant amount of effort, complex coordination, and expensive integration undertakings to deliver services in rural areas. A combination of all these factors coupled with an uneven urban-rural tele density results in reduced network coverage in rural India. However, things are changing fast. Technology like SDN/Automation is helping telecom providers automate complex tasks, network upgrades, new service launches, etc. with minimal or zero manual effort and low costs helping them to succeed in this complex and rapidly evolving market. Cisco is working with all leading service providers to evolve their network and business architectures that allow for zero-touch provisioning, service agility and quality of service to drive adoption for new monetizable service to address profitability challenges. “Indian Telecom Industry is undergoing a wide transformation in the form of disruptions- intense tariff wars and consolidation,” Sanjay Kaul , Cisco 1.75 out of 5 based on 4 ratings. 4 user reviews.